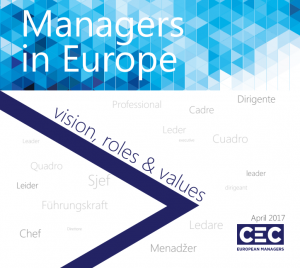 During the meeting with EESC President Georges Dassis on April 25, CEC President Ludger Ramme presented “Managers in Europe: vision, roles & values”. The document, which has been made public at this occasion, highlights the managers’ vision for Europe and their role in society. The foundational document “Managers in Europe” expresses the managers’ analysis of today’s situation while delivering a vision for a more inclusive and sustainable future in Europe. Managers in Europe want to contribute to this process by putting their competences and skills at the disposal of society, acting as bridge builders between employers and the workforce and facilitators of personal and organisational development. Therefore, they are a crucial factor for making changes of economic and social nature happen – in the workplace and beyond. 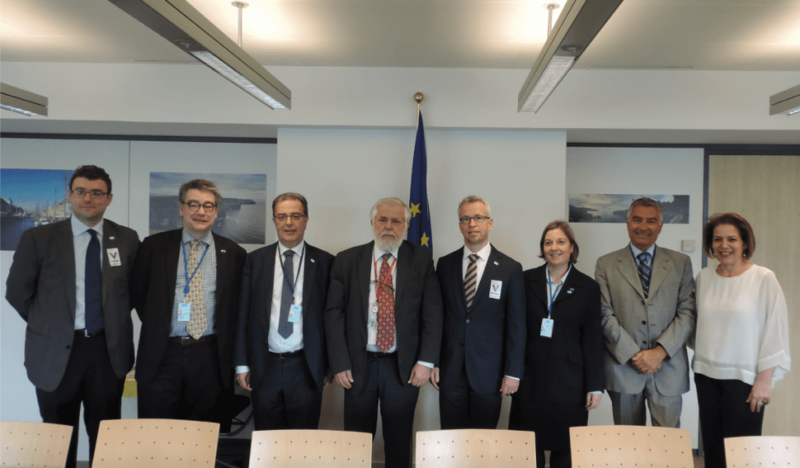 During the discussion with the members of the CEC delegation, composed of the four members of Group II of the EESC and the CEC Officers, Mr Dassis highlighted the excellent and long-lasting relations between the EESC and CEC European Managers. He added that Europe is a history of permanent dialogue at all levels. CEC President Ludger Ramme shared managers’ concerns regarding current anti-European movements and macro-economic difficulties and differences in and among European states. Managers being among the most mobile and skilled persons in Europe, they are particularly affected by tendencies putting the four liberties of the single market at risk. The meeting was also an occasion to exchange on two major issues on the European agenda: the possible consequences of Brexit in terms of European cohesion and the stance that Europe should adopt with regards to the migrants and refugees.